Known as "Sweet Mama Stringbean" for her slender figure, Ethel Waters could sing the blues beyond compare. Her soft, refined voice, theatrical style, and signature shimmy captivated black and white audiences alike. Waters grew up in the chaotic misery of a Philadelphia slum. "No one raised me," she recalled. "I just ran wild." Waters gladly put it all behind her to tour on the vaudeville circuit. She ended up in New York City, performing on the stages of both the Lincoln and Lafayette Theatres. In 1919 she became one of the first black artists hired by Black Swan Records. The commercial success of two 1921 recordings—"Down Home Blues" and "Oh, Daddy"—landed Waters a touring gig with Fletcher Henderson and the Black Swan Troubadours. Her recording career was heating up, but Waters refused to let her theater work cool down. 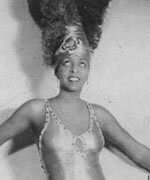 In 1927 she made her Broadway debut in Africana. Her rendition of Harold Arlen's "Stormy Weather" at the Cotton Club in 1933 (he had written the song expressly for her) moved composer Irving Berlin to cast Waters in the musical comedy As Thousands Cheer. When the show toured the South, she snared top billing alongside her white cast members—a first for any black actress. Waters' stage credits eventually surpassed those she had notched as a singer. Her numerous Broadway hits included At Home Abroad (1936), Mamba's Daughters (1939), Cabin in the Sky (1940), and Member of the Wedding (1950). Waters effected a mid-career makeover as a dramatic screen actress, appearing in nine feature films. In 1949, her turn as Granny in Pinky earned her an Oscar nomination for Best Supporting Actress. Waters performed in Hello, 1919 at the Lafayette Theatre. She toured with Fletcher Henderson. 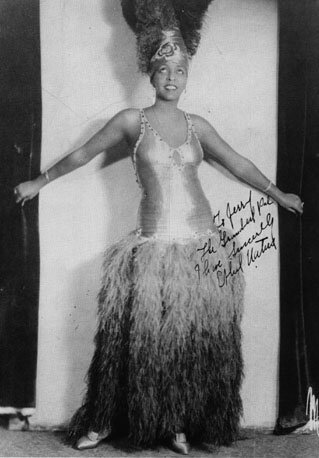 She performed at the Cotton Club. She sang with stride pianist James P. Johnson.